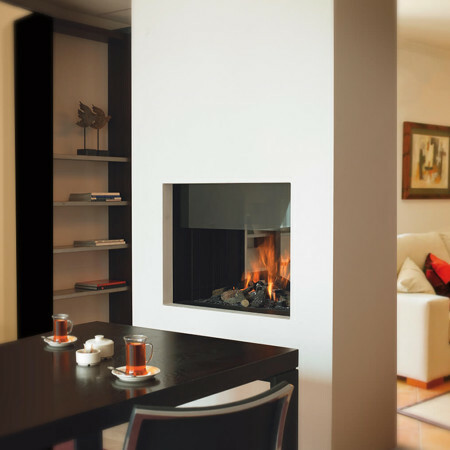 Explore our unique double sided fireplace collection (also know as two sided fireplaces). 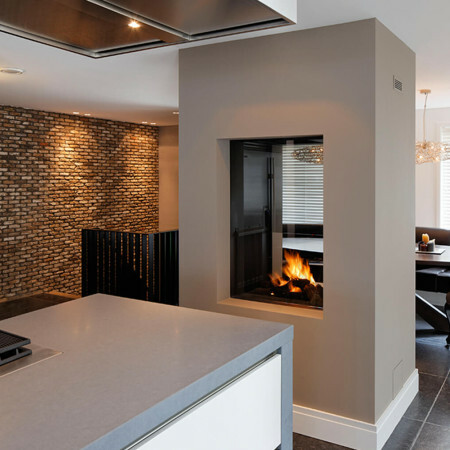 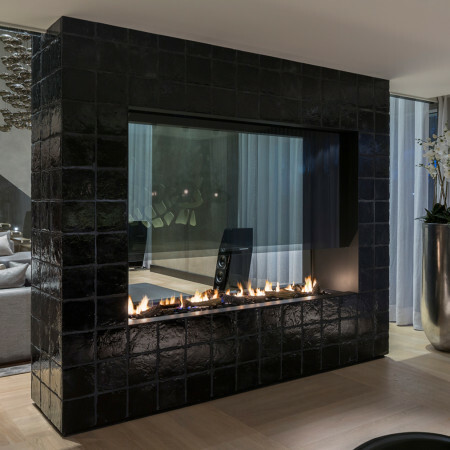 Apart from being a great, designer focal feature, double sided fires are a great way to break up a large space whilst maintaining light and visual flow between the space. 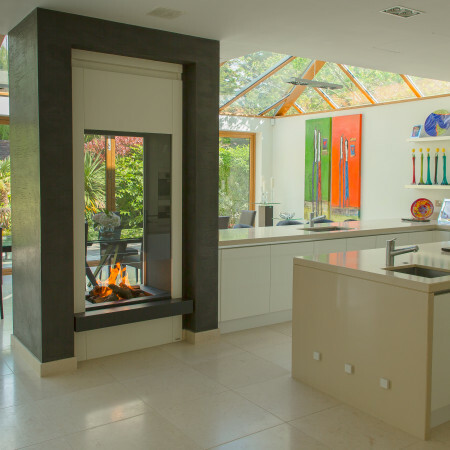 Many of our double sided fireplaces incorporate glass up to eye height and this expansive glass, apart from radiating heat from the fire, maintains a light open feel across the space. 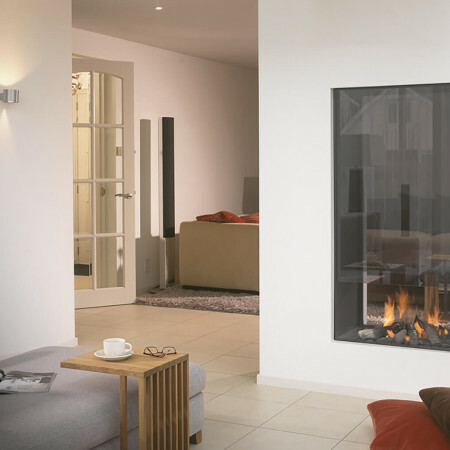 Our two sided fireplace collection offers all kinds of inspiration suitable for the ultra modern interior to the more traditional home and with bespoke fireplace options, the only limit is the imagination….